You no longer need to work against yourself by thinking you have to lose weight to get healthy, but rather once you get healthy you will lose the weight! 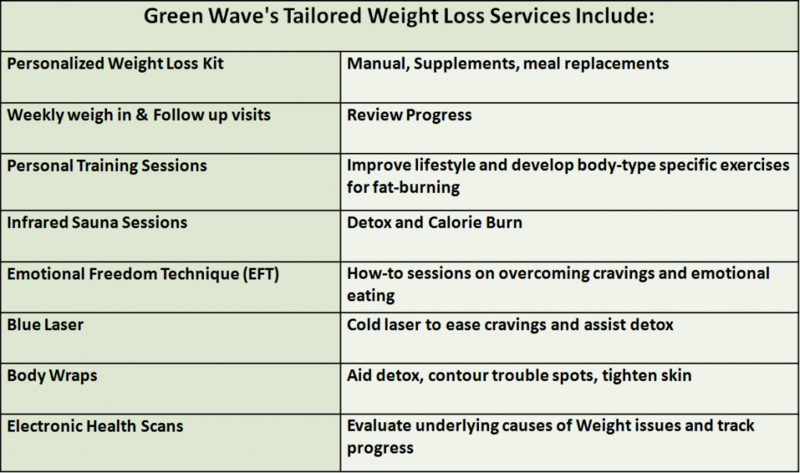 We are very excited and proud at Green Wave to offer a comprehensive weight loss program with a proven history of healthy success. 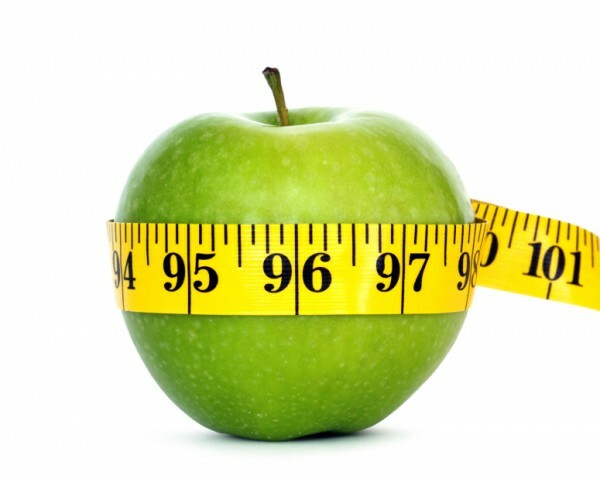 As a wellness center, weight issues are a core concern for many of the clients we see. Struggles with weight have taken center stage as one of the top health concerns in our nation. After years of research in our private practice and gaining specialized training in weight loss, we are excited to bring together breakthrough technology and the best products available to help you get healthy and lose the weight. At Green Wave, we deal with the underlying causes of weight and health issues. Find out what insights can be gained in knowing your body type and the underlying causes of weight gain to better personally tailor a weight loss program for you. • Do You Have Belly Fat? • Have You Had A Hard Time Sticking With A Diet? • Do You Struggle With Food Addictions? • Would You Like To Experience More Energy? Understanding how the body works and the careful evaluation of your underlying causes of weight gain are the keys to a successful weight loss program. You will begin with a computerized evaluation to determine what your body needs to get healthy. The weight loss success that people are experiencing with this breakthrough technology is simply amazing. No more roller coaster weight problems! You are not a bad person with simply a will power problem. Don’t be discouraged, there really is help available. We have answers and solutions for weight loss problems! In our FREE weight loss seminar here at Green Wave Family Wellness Center you will learn how to trigger your six fat burning hormones. Join us at our next available seminar to learn more! Cold Laser Technology— Featuring the premium A.I.E. multi-frequency Blue Laser. Laser therapy uses specific wavelengths of light to stimulate and speed up the body’s natural healing of affected areas. The frequencies can also be used to efficiently ease cravings through stimulating acupuncture sights and facilitate rapid release of toxins in the body. Detox and Body Wrap- We are very pleased to bring the M’LIS Company products and approaches to our clients to help them achieve permanent inch loss, detoxification, skin tightening and cellulite reduction. The wrap works by using circulation and gentle pressure to flush toxins and waste materials from the system through internal detoxification of the body. Electronic Health Scan- the use of the FDA approved BioMeridian scan brings cutting edge technology and proven medical science come together in a unique meridian stress assessment tool to give you a clear picture of your current health and a specific protocol of vitamins and minerals to optimize your health. Before your scan, make sure you drink plenty of water and, avoid using lotion on your hands and feet. Call or stop by Green Wave Family Wellness Center today to find out how you can lose weight with the help of our cutting edge technology and tailored programs!